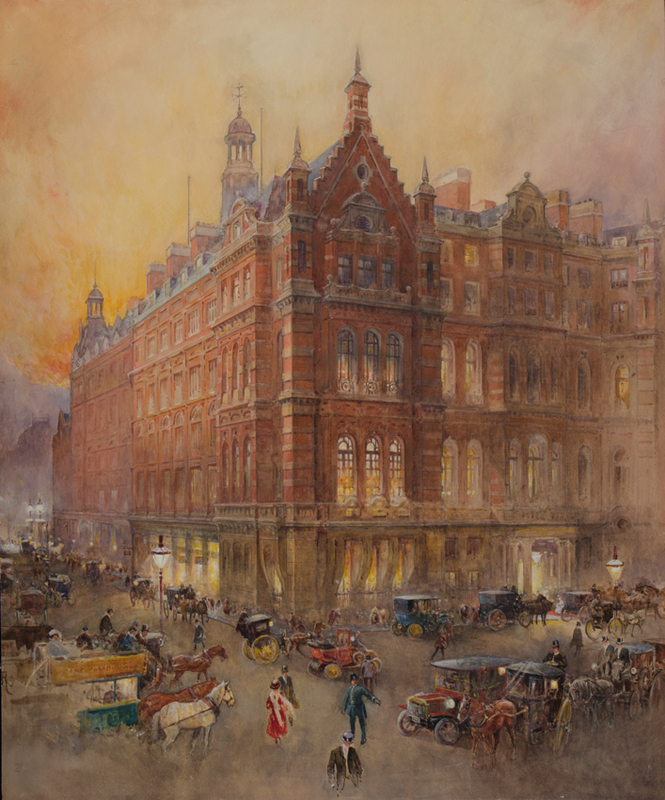 Fine art specialist Atelier brings this watercolour of The Great Eastern Railway Company’s Liverpool Street Hotel & Abercorn Rooms, London by Percy Robertson to BADA 2018. Painted c. 1905 it measures 2ft 4in x 2ft 1in (74 x 64cm) and is offered for £6500. 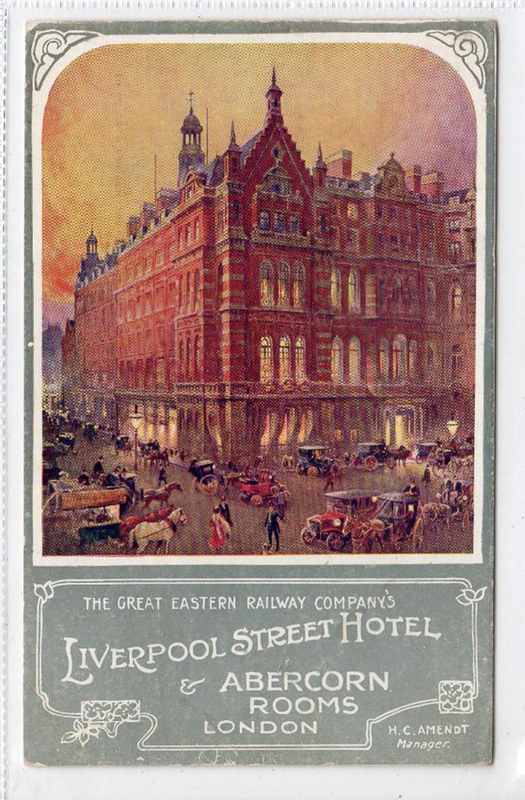 The watercolour was commissioned by the company for a postcard advertising its hotel following a programme of renovation and expansion from 1899 – 1901. The hotel had notoriously served as accommodation for vampire hunter Abraham van Helsing on his visit to London in Bram Stocker’s gothic horror Dracula. Built on the site of Bethlehem Royal Hospital, the first in the country that tended to the mentally ill, the Great Eastern Hotel was also notable for its inclusion of two Masonic Temples, an Egyptian temple in the basement and a Grecian temple on the first floor. This c.1905 watercolour, which is offered for £6500, was painted by Percy Robertson (1868-1934), the Italian-born artist known for his atmospheric London views. It was one of a number of works he produced for advertising postcards around this time, including those for The Hotel Metropole and The Midland Hotel, St Pancras. Today, his works are in the collections of the British Museum, the Ashmolean Museum and the National Gallery of Victoria. The original advertising postcard that used Robertson’s painting will also be at Atelier’s stand during BADA 2018. Jonathan Voak of Atelier discovered the picture and was able to identify the artist through a faint monogram to the left edge. The 2ft 4in x 2ft (71 x 61cm) composition shows the entrance to the Abercorn Rooms, new additions to the 1884 building. Atelier will show the painting at BADA 2018 (March 14-20), which is staged in Chelsea’s Duke of York Square, alongside one of the original advertising postcards produced from the painting.